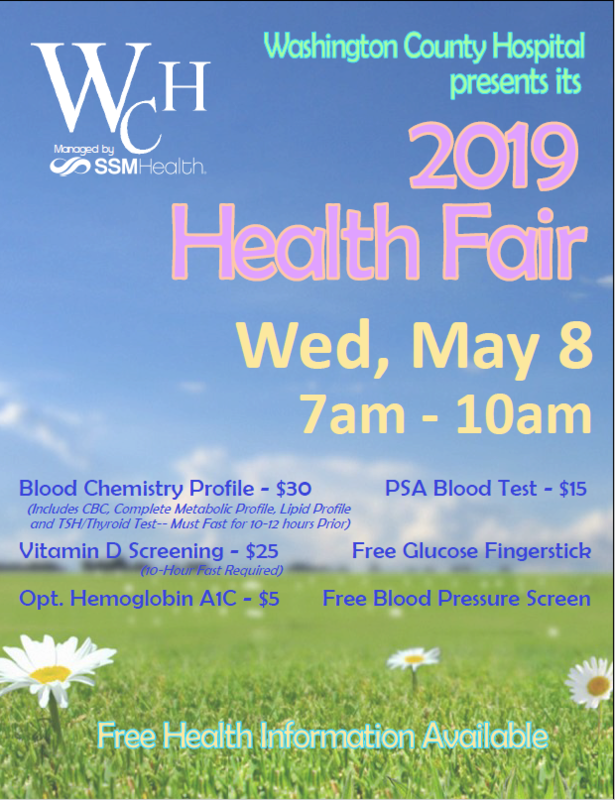 Washington County Hospital’s Health Fair is slated for Wednesday, May 8th, 2019 at 7:00am. 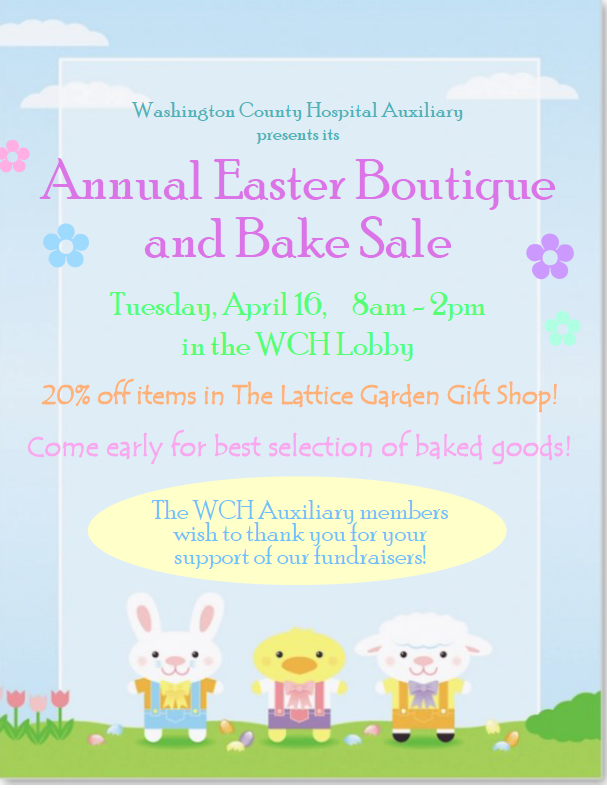 The WCH Auxiliary members invite the public to attend their Annual Easter Boutique and Bake Sale on Tuesday April 16th, 2019 in the WCH lobby. 20% off items in The Lattice Garden Gift Shop! 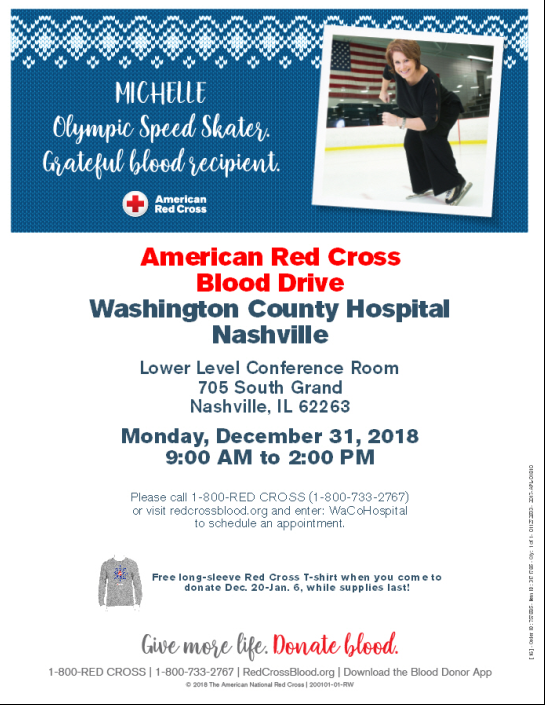 Washington County Hospital is hosting a Blood Drive on Tuesday, January 15th from 12 noon to 6 p.m. The Blood Drive will be in the lower level conference rooms of the hospital. The best entrance would be the Education Entrance on the South East corner of the hospital. Please come and join us. Each pint donated can save up to 3 lives!! Washington County Hospital 2018 Quilt Raffle. Please see an Auxiliary member, The Lattice Garden gift shop, or the Auxiliary Thrift Shop for tickets. Drawing will be held at the Christmas Boutique on November 13th, 2018. Join Washington County Hospital Auxiliary on Tuesday October 2nd, 2018 for the annual book fair. This will be located in the lower lever conference rooms from 9am-4pm.